Paul Brown’s Bengals is an ongoing series to showcase the upstanding players that were brought to Cincinnati by the team’s founder. Under his watch from 1968-91, the Bengals went to two Super Bowls and made the playoffs seven times. Since his son, Mike Brown, inherited the team in 1991 and stocked the roster with problem players the Bengals have only made the playoffs once. 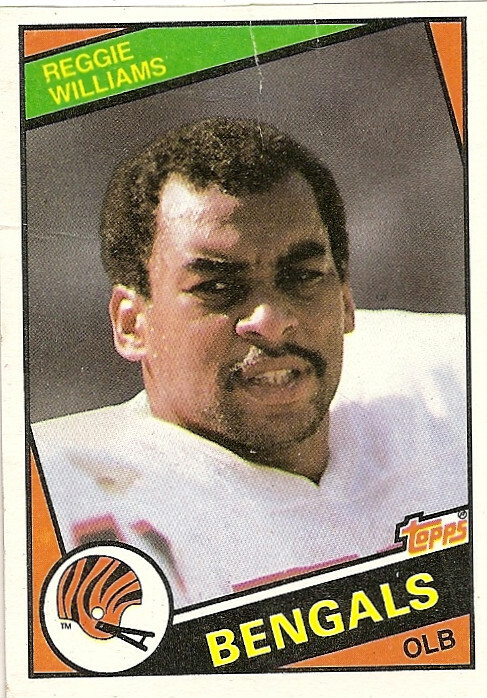 Paul Brown, an innovator of intelligence testing, stocked his rosters with talented players like Anthony Munoz, Boomer Esiason and Reggie Williams. Paul Brown’s Bengals is an ongoing series to showcase the upstanding players that were brought to Cincinnati by the team’s founder. Under his watch from 1968-91, the Bengals went to two Super Bowls and made the playoffs seven times. 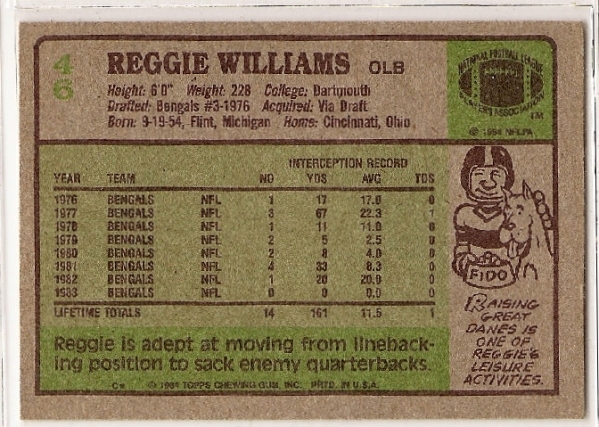 Paul Brown selected Reggie Williams as a third round pick in 1976 out of the Ivy League school Dartmouth. He suited up for the Bengals in a pair of Super Bowls, but it was the opportunities off the field that Williams pursued just as hard as opposing running backs. In the twilight of his career in 1988, Williams was appointed to serve on Cincinnati City Council. The same season his team dominated the AFC and played in the Super Bowl, Williams became one of the only active professional athletes to hold public office. While serving on the city council, he spearheaded legislation that helped end apartheid in South Africa, according to the New York Daily News. Williams viewed his playing career as a privilege and opportunity to change the world. Not as a right like many of Mike Brown’s players do. Raising Great Danes is one of Reggie's Leisure Activities. Williams sacrificed his body for a chance to play football and change the world. During his 14 seasons in the NFL both knees took a beating. Williams had countless surgeries and has had three knee replacements. Now Williams is fighting to save his right leg. Williams received the NFL Man of the Year Award in 1987. He was one of three Bengals drafted by Paul Brown to receive the award. The same year he was named co-Sports Illustrated Sportsman of the Year for his charitable efforts. Following his retirement, Williams was inducted into the College Football Hall of Fame in 2007, became general manager of the World League of American Football’s New York/New Jersey Knights and then the vice president for sports attractions at Walt Disney World in Orlando. Williams interviewed to become the commissioner of the National Football League in 2006. Williams finally left his post at Disney to focus on his health. In an interview last month with the Cincinnati Enquirer, Williams told the paper his knee has stabilized and he would be able to keep his right leg.